One can discover thousands of antiques in Suffolk, when browsing antiques shops and antique collections throughout the county's scenic and historic towns, villages and hamlets. The antique dealers and experts in Suffolk are the UK's true enthusiasts and like to share their knowledge and expertise. If you have a question or query about any antiques, be sure to ask. if the dealer you are speaking to doesn't know the answer, he is sure to know someone that does! 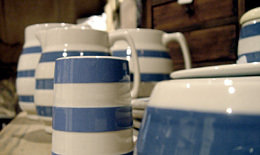 Antiques and collectables have also become an extremely popular way for people to invest. Exploring the antiques shops, markets and warehouses of Suffolk might just be the turning point for your fortunes! Just as you have seen on the TV - each antique item has a history and back-story, which gives you an insight into previous lives and times. Many enthusiasts will tell you it is well worth planning a trip to Suffolk for the antiques alone!